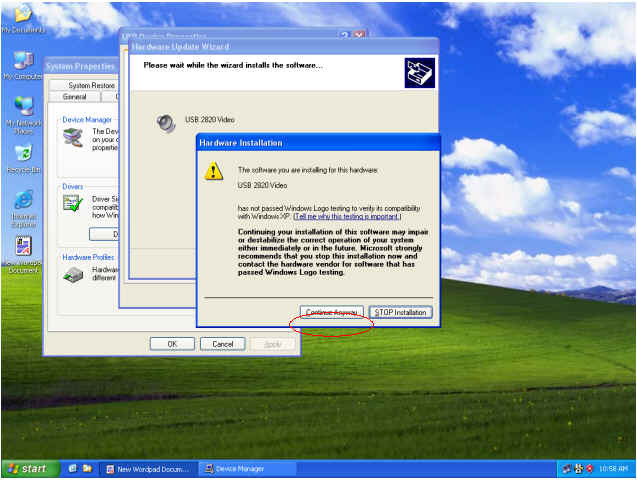 Where can I find the driver for installation in Windows Vista ? After download finished, please upzip the drive file and use it accordingly. 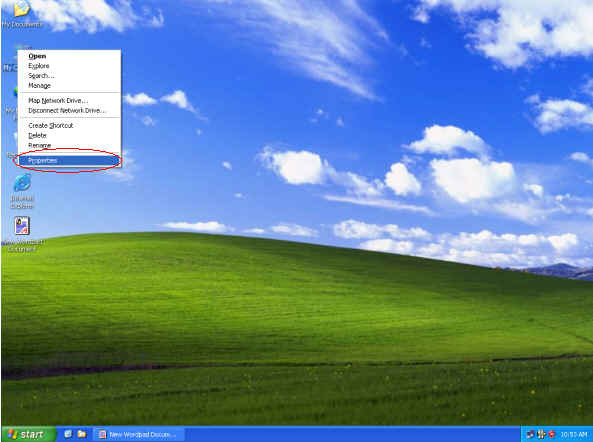 Driver not installed correctly in Windows XP. What to do ? 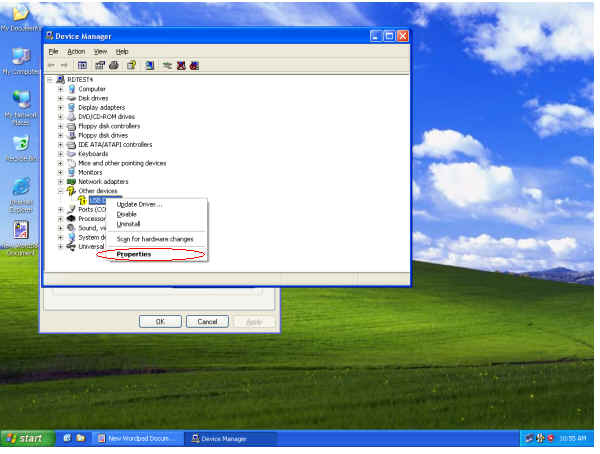 1) Right-click “My Computer” and left-click “Properties”. 3) Locate the question-marked USB Device. 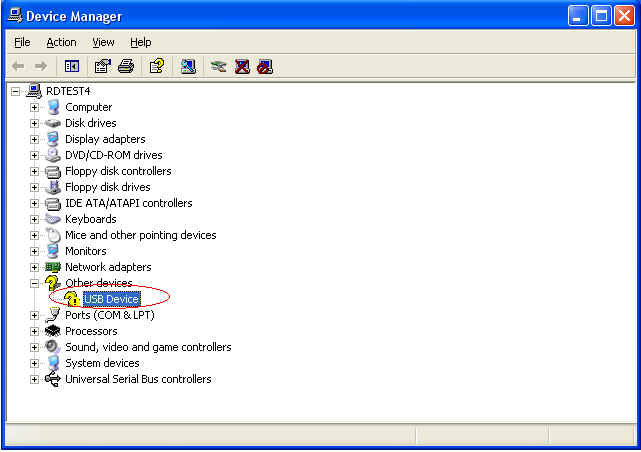 4) Right-click “USB Device” and left-click “Properties”. 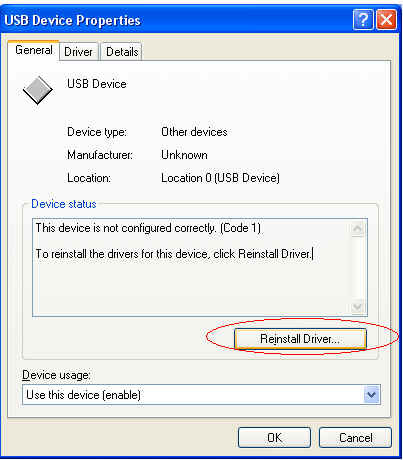 5) Select “General” and “Reinstall Driver” and click “OK”. 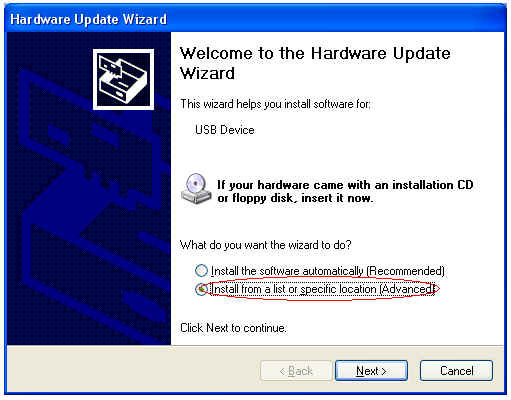 6) Select “ Install from a list or specific location (Advanced)” and click “Next”. 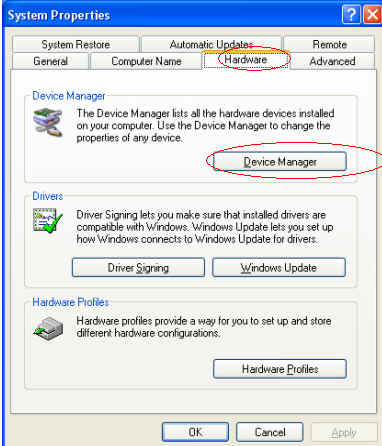 7) Select “Browse” and specify the location of your downloaded driver update file(WDM_drv0411_B.zip). Then click “OK” to exit and click “Next”. 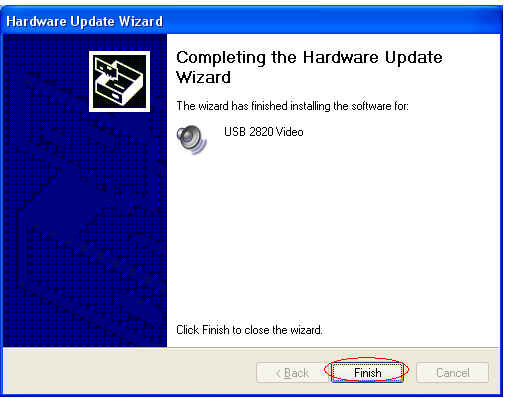 9) Click “Finish” to complete the Reinstallation.